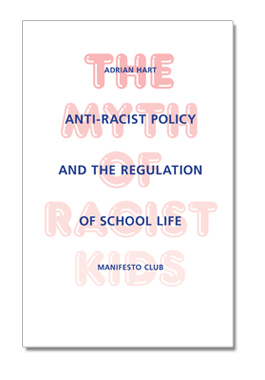 The Myth of Racist Kids – anti-racism policy and the regulation of school life, is the latest Manifesto Club publication, by film-maker and anti-racism campaigner Adrian Hart. 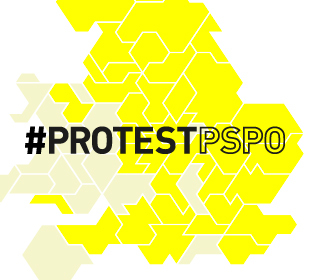 Hart’s investigation shows how schools are under pressure to search out and report ‘racist’ incidents, and how primary school children are being disciplined and reported to the authorities for petty playground squabbles and everyday insults. Bangladeshi children in Tower Hamlets are frequently reported for teasing other Bangladeshi children with the term ‘Kala bander’ (black monkey). Read an EXTRACT from The Myth of Racist Kids. Buy a copy of The Myth of Racist Kids using PayPal’s secure online payment service below. Please choose correct postage for UK (+£1.50), EU (+£2.00), or Rest of World (+£2.50). Previous Previous post: Take action!